Musing on life and art. 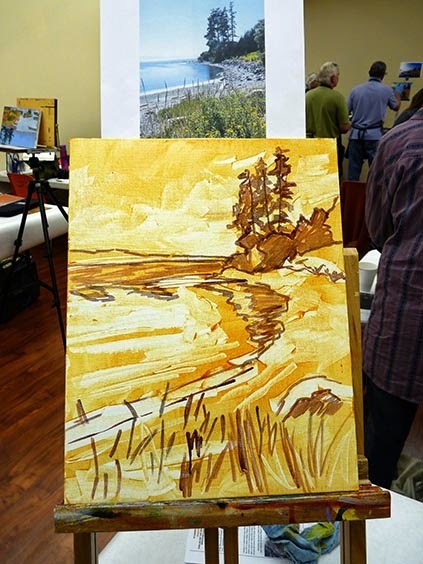 This past weekend Island Arts Magazine hosted another artists' workshop - Fundamentals of Plein Air Painting with instructor Brian Buckrell. 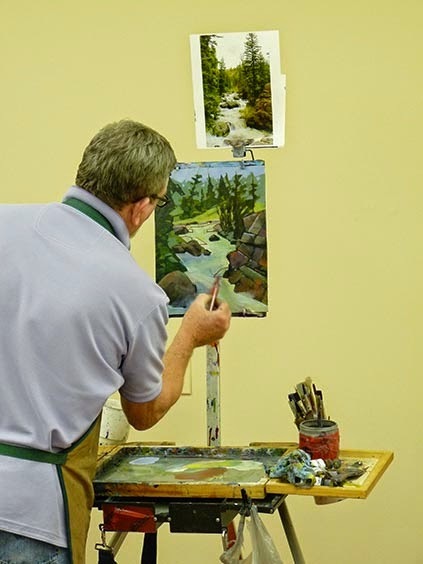 Watching the instructor do a demo is always a great learning experience, as we can see how he (Brian) starts and works a painting. The group gathered around and watched as the piece magically came to life, asking questions about the process. 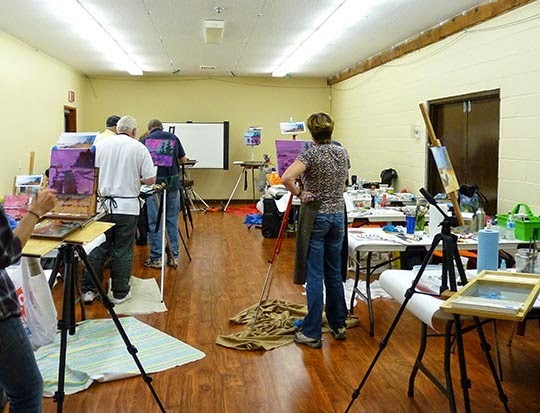 The weather didn't cooperate for painting outdoors, but the group was eager to participate in the workshop indoors, working from images while wearing their "En Plein Air" hat. I think that this painting was a 'good start' for me. Taking a workshop is a wonderful way to spend time with like-minded people often swapping stories, struggles, laughs and tips over coffee and lunch. "Your approach (Brian) is gentle, supportive, sharing and giving. You were accessible in your delivery and demeanour, non-judgmental in your silences. You make the time to spend with the class as well as individual time. That makes the spirit soar." For more information on upcoming workshops please check our website. Love what you do...and do what you Love. Susan Schaefer, Young at Art Studios. Simple theme. Powered by Blogger.